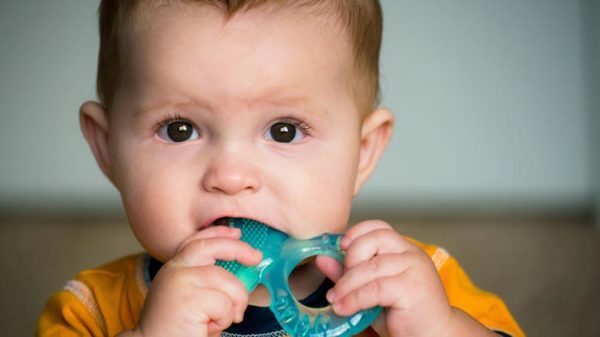 If your child is teething, they are likely in pain. As a concerned parent, your first response may be to reach for an over-the-counter pain reliever. Benzocaine is a common ingredient in pain relievers marketed to help relieve children’s teeth pain. However, the U.S. Food and Drug Administration (FDA) has recently warned parents not to use over-the-counter treatments that contain benzocaine. As of May 2018, the FDA has stated that “benzocaine for the use of temporary relief of sore gums due to teething infants or children should no longer be marketed.” The FDA has instructed companies that produce these products to stop selling them for use in children and promised strict regulations and consequences are to follow. Benzocaine is a topical anesthetic or pain reliever. It is found in Anbesol, Hurricaine, Orajel, Topex, and Cepacol, not to mention numerous store-brand products. Typically it comes in the form of a gel, ointment, lozenge, or spray. Recent studies have confirmed that Benzocaine is linked to a disease called methemoglobinemia. Though rare, it is a very serious condition and can be fatal. Methemoglobinemia happens when the levels of methemoglobin, a hemoglobin-like protein, in the blood are elevated. Methemoglobin doesn’t carry as much oxygen through the body as hemoglobin. When the body contains too much methemoglobin, the tissues are starved of oxygen, causing fatigue, dizziness, shortness of breath, and eventually may lead to seizures, comas, and death. Benzocaine increases the levels of methemoglobin in the body, especially in young children. As with any dental issues, it’s important to check in with your dentist if you are uncertain about anything. They can help you determine the best way to help your teething child.